Our range includes the popular Standard desk top calendar easel. Manufactured using plain coloured PVC. Available in five stock colours: White, Green, Burgundy, Blue and Black. 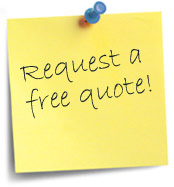 However if you’re looking for something different, we offer an extensive range of alternative colours. 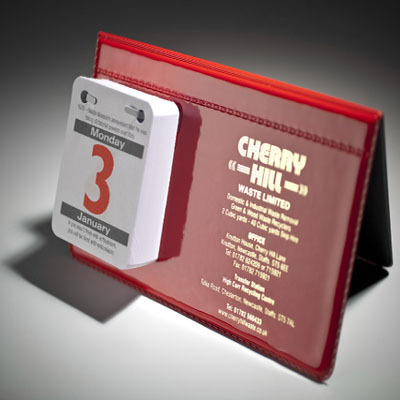 The Universal desk top calendar easel is a perfect alternative to the more expensive leather type finishes available. Manufactured using quality lustrous PVC and complimented with a contrasting headband. Available in three attractive colours, Blue, Plum and Silver-Grey. The Hi-tech Chroma design is produced in a high gloss silver PVC with a metallic look “footplate” headband. Very modern and very popular. Bright and colourful with a high gloss PVC finish, that is the Patent easel. This desk top calendar is available in Red, White, Blue and Black. Looks superb when foil blocked in gold or silver. Grained leather finished board. The Summit is an excellent alternative to our PVC range of desk top calendar easels. Available in Black, Red and Navy Blue. Digital – Litho – Encapsulation: An exciting new option in printed easels. Available in all designs (except Summit), giving you a blank canvas to create something different. 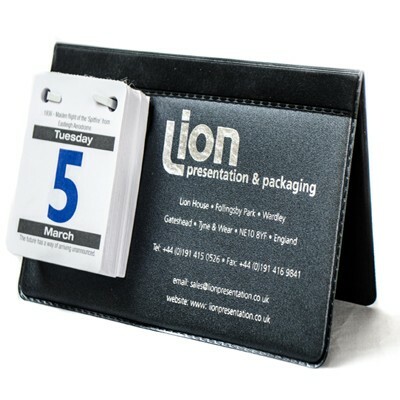 All desk easels are printed to reverse showing year to view calendar and the ever popular Daily Tear Off Pad to the front, featuring “Fact Of The Day” and “Quote Of The Day”.